Venture into shark-infested waters with the latest release by Amatic - Wild Shark.Swim through the danger which can be found in this slot as you try and rescue the crown jewels as you spin the reels for big rewards. This amazing game will bring excitement and fun whenever you play it. Wild Shark is a 5-reel, 4-row and 50 payline slot with tons of free spins, scatters and wilds.So get ready to fish treasures which are hidden within this slot. 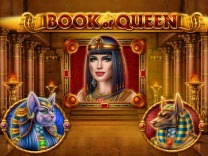 Amatic is renowned for developing amazing slots. There are various aquatic games from this gaming stable but they never disappoint with their slots. Wild Shark is an amazing slot with wonderful graphics which are rendered superbly allowing players to play this slot on various devices. Wild Sharks does not need to be downloaded as it can be played through the web browser on either your phone or desktop computer.The characters in this slot are excellently displayed in a 2D format with a payline marker appearing every time you land a winning combination. There is no soundtrack but whenever you win a prize, you will be notified. You will also find that there is an aquatic theme to this slot with a blue background.This is a low variance slot with lots of wonderful payouts. It is recommended for all players, beginners and expert players alike. The pays are regular and huge compared to other slots. Amatic has ensured that players have the most fun whenever they play their games, and Wild Shark is no exception. Whenever you play this slot, you will interact with different characters such as the turtles, angelfish, puffer fish, dories and clownfish. These are the standard paying symbols in the slot and offer a high payout of up to 1,500,000 coins for matching 5 of the turtle symbols. They will also give out a low payout of up to 20,000 coins for matching 3 of the starfish symbols.Before reaping the benefits of playing this slot, you will need to set a wager. You can do this by adjusting the paylines and the bet per line through the buttons located at the bottom of the slot. Wild Shark will allow you to set a bet line of between 10 and 50 paylines. You can also set a coin per line of between 10 coins and 2000 coins per line. For those players who do not like to manually spin the reels, then there is a autostart button at the bottom of the slot. In Wild Shark, you will find 50 paylines which will give you multiple opportunities to make winning combinations with each spin. You have to match at least 3 symbols on an active payline to receive a payout.Watch out for the crown jewel, as this is the best symbol in Wild Shark. Matching 5 of these symbols will award you up to 5,000,000 coins. Even though Wild Shark offers a wonderful base game, there is no substantive bonus game. 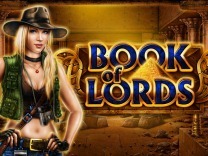 However, there are bonus features which will keep you playing the slot. These are the wild, scatter and gamble features.The first bonus feature which you will encounter when you first play the game is the gamble feature. This feature is tied to base game winnings and must be activated manually. Whenever you land a win, the gamble button will blink to alert you that you can play the feature. Whenever you click the gamble feature, you will be transported to a second screen where the game is presented as a card guessing game. In this feature, you have to correctly choose the correct card colour or card suit to either double or quadruple your winnings. 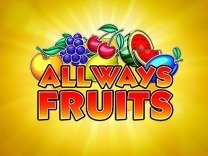 it is important to note that incorrect guesses mean forfeiting your winnings.There is also a bonus symbol which activates the bonus spins. 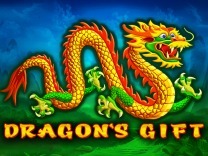 Landing 3 bonus features in any position will award you 5 bonus spins. The bonus symbol only appears on reels 2, 3 and 4 only. There is also a wild symbol which is incorporated into this slot. The wild substitutes all other symbols on the reels except the bonus symbol.